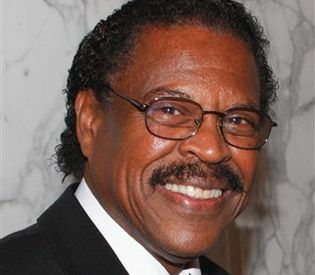 R&B singer Billy Scott passed away on Saturday at his home in Charlotte, NC from pancreatic and liver cancer. He was 70. Born Peter Pendleton, Scott originally caught the music bug while in the army and, when discharged, started the group the Prophets with his wife Barbara. The group had regional hits with I Got the Fever, California, Beach Trip, My Kind of Girl and Seaside Love. While Scott and the Prophets never broke out to national prominence, they were extremely popular in the southeast U.S., especially with the Carolina Beach Music crowd. Their relatively rare 60's and 70's recordings have also become sought after by Northern Soul fans in the U.K.
Scott was a member of the Beach Music Hall of Fame and the North Carolina Music Hall of Fame. His numerous Cammy Awards from the Carolina Beach Music Association include the Founders Award (1995), Male Vocalist (1995, 2001), Entertainer (1995), Solo Album (1995, Billy Scott), Duo Recording (1995, Something About You with Janice Barnett), Song (2001, My Kind of Girl), Line Dance Song (1995, Don't Let Go) and Ballad/Smoothie (1995, Until This Night and 2001, My Kind of Girl). It is with great sadness to inform you all that Billy Scott passed away this morning November 17 at 10:30 after his battle with pancreatic cancer. Thanks for all the cards, letters, thoughts, prayers, and financial support. Also thanks to everyone involved in planning upcoming numerous Billy Scott Fundraisers in North and South Carolina to help Gail, his wife with medical expenses. WE LOVE & MISS YOU BILLY SCOTT!